So as a follow up to my CHIP-8 interpreter I dove right in to some interpretive emulation. Next on the roadmap to learning emulation seems to be the Intel 8080 processor, according to all the good learning sources, as its simpler instruction set makes it a good choice when you want to see encouraging results relatively quickly. In fact, to play Space Invaders, you don't need to emulate the entire instruction set. This isn't going to be a long or particularly technical post, however, as, similarly to the CHIP-8 post, I don't want to reiterate information already shared and better explained by other sources - rather I'd like to share some of my own specific experiences. Firstly: interpretive emulation is tedious. Implementing each opcode is dull, and you need to implement a LOT of them before you see any result. If this taught me anything it's the power of unit testing. Being able to test each opcode individually is a real benefit and makes life much easier when it comes to debugging. Yes, you have to write more code, but it's worth it, believe me. 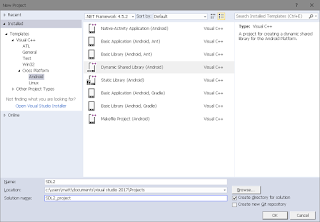 You can see how I set up my unit tests here - although on reflection the code design could have been much better, and would have allowed the use of unit testing frameworks such as Catch or the Visual Studio test suite. You live and learn I guess. Secondly, implementing a video system to draw the graphics is rather interesting. Of course I used SFML for my graphics and audio output (as well as windowing and input parsing), and translating emulated video memory to pixels on an OpenGL texture was an enlightening experience. What really pleased me about this project though was that, although the software is far from bug-free, it's accurate enough to run not just the original Space Invaders software, but other games too such as Lunar Rescue and Balloon Bomber which were designed for the same hardware. I admit I had big plans for this project, including extending the instruction set to emulate the (theoretically) compatible Z80 processor, although this is unlikely to happen. Currently xygine and a new game project are taking up rather a lot of my spare time. With any luck future posts will be about the features of xygine, and return to a more SFML oriented theme. The full source code for SpIn is on Github. Emulator101 - Space Invaders emulation tutorial site. Computer Archaeology - Arcade machine hardware and software information.